I have the utmost pleasure to welcome you all to the third annual session of EKINJMUN 2019. I am Azra Kaya, a sophomore in Gelisim College. 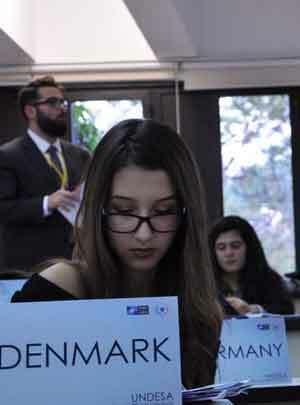 It gives me great pride and joy to return and serve you, most esteemed participants, as the Deputy Secretary General where I began my MUN career as an 11 year old. Having partaken in various Model United Nations platforms globally ever since my first year of middle school, MUN has become a vital part of my life which has contributed in many ways to my growth as an individual, surrounded me with an incredible set of skills and a big family of fellow MUNers. We will be working hard to make this experience an unforgettable one.